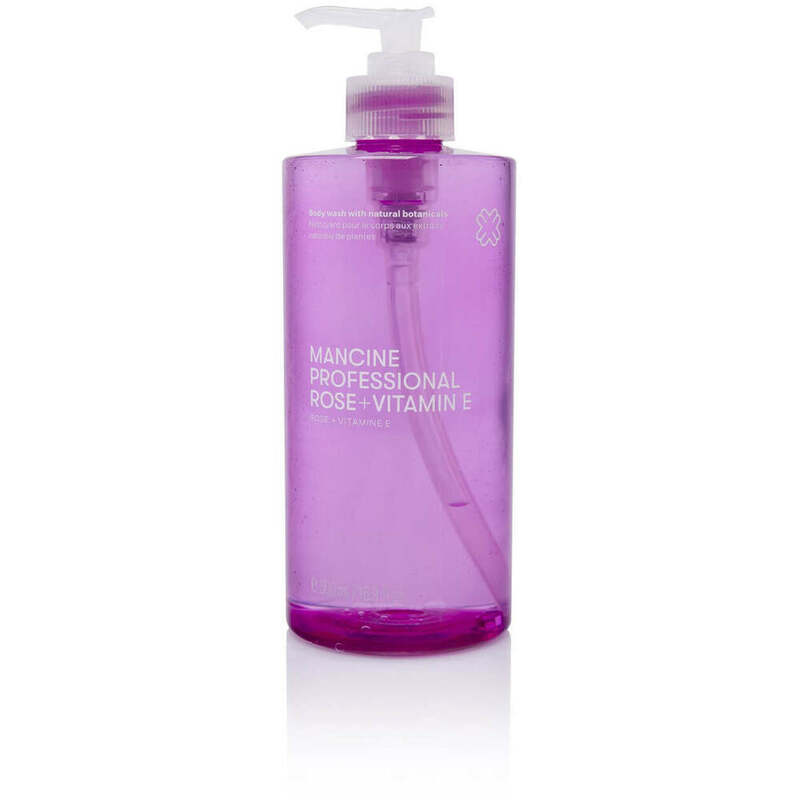 Mancine Body Wash - Lavender & Witch-Hazel 12.7 oz. - 375 mL. Detoxify, purify and de-stress with this botanical fusion of witch hazel & lavender. A body wash that sweeps away impurities and environmental toxins to leave your skin feeling revitalized, energized and ready for the day. The perfect formulation of relaxing lavender with natural witch hazel cleanses, tones and cools skin, with moisturizing herbal humectants acting to organically sooth and remove excess oil. Witch hazel calms skin blemishes and irritations whilst the lavender leaves your skin lightly fragranced - the perfect organic blend. For best results apply with an exfoliating Riffi glove or mitt and further rejuvenate your skin care routine with a body lotion or body butter.